Darkcell’s Psycho Circus Event is happening in Sydney on Saturday 2 December at The Bald Face Stag Hotel and in Brisbane on Saturday 9 December at The Brightside. This band is also playing gigs in Newcastle on Friday 1 December at The Cambridge Hotel and Melbourne on Saturday 16 December at Club Bang. Please see all details regarding these two events and the other two side shows below as well as who is playing at them. Australia’s kings of creepy music Darkcell are back again, bringing their first annual event called Psycho Circus Event 2017 to both Sydney and Brisbane this December. This spooktacular showcase will explode with everything freaky Brisbane & Sydney has to offer including 9 epic bands, Side Show performers, 8 Hours of entertainment & dark carnival themes. Come one, come all — The Freaks Are In Town! Prizes for best dressed circus freak – Get creative! HAIL TO THE FREAKS! Darkcell, Our Last Enemy, Tensions Arise, Nouveaux, Coffin Carousel (VIC), Nerve (VIC), A Gentleman’s Agreement, War Rages Within and Vodvile. Doors open at 4 pm, 18+. Ticket prices: $25 plus the booking fee pre-sold from Moshtix and $30 at the door on the afternoon/night. Darkcell, These Four Walls, Holistic, Dragonsmead, Seraphic, Flynn Effect, The Molotov, New Clear Vision & Trash Queen. Doors open at 3:30 pm, 18+. Ticket price: $25 plus the booking fee pre-sold from Oztix and $30 at the door on the afternoon/night. Friday 1 December – The Cambridge Hotel, Newcastle. With / Mucho Sonar, Our Last Enemy, Tensions Arise and From Love To Violence. Doors open at 7:30 pm, 18+. Ticket price: $15 plus the booking fee pre-sold and $20 at the door on the night. Darkcell returns to Newcastle once again, bringing their unique brand of stadium level hooks and loud, abrasive and industrial rock sound that they are known for. Expect a larger than life stage show, party vibes and good times. Along for the ride are Local legends Mucho Sonar, Our Last Enemy (Syd), Tensions Arise (Syd) and Newcastle’s own From Love To Violence. HAIL TO THE FREAKS! Saturday 16 December – BANG! Melbourne. With / Nerve, Massacre Of Innocence and Obsidian Monolith. Doors open at 9 pm, 18+. Tickets: $25 at the door on the night and $20 if you say you have come to see Darkcell. 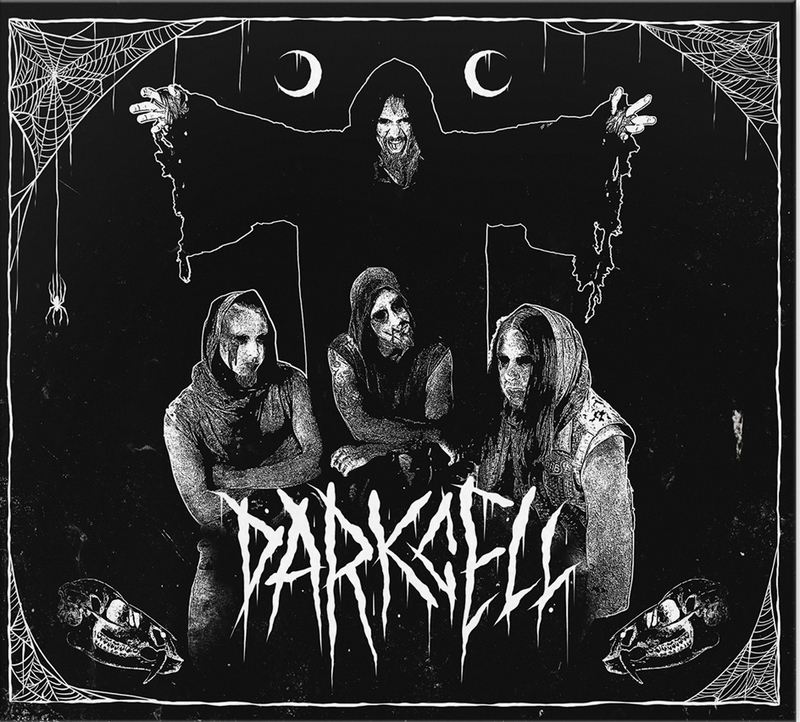 Darkcell returns to Melbourne once again, bringing their unique brand of stadium level hooks and loud, abrasive and industrial rock sound they are known for. Expect a larger than life stage show, party vibes and good times. Along for the ride are local legends Nerve, Massacre of Innocence and Obsidian Monolith. Mention DARKCELL at the door for discounted entry!